Shea butter is a type of fat derived from the African Shea tree’s nut. The ivory-colored nut fat is extremely moisturizing. It’s also a humectant, it will lock moisture in while adding a layer of protection against the elements. Shea butter is a popular base ingredient for most body lotions, but it can be used to condition the hair too. You can get raw Shea butter from the nearest health food store. You can also order online! One thing to remember when getting Shea butter is to get the unrefined, raw kind not the refined or processed kind. Just whip the butter with your hand or use a stand mixer to achieve a light, fluffy texture. After whipping the Shea butter, you can add your favorite essential oil or even fresh aloe vera gel to boost fluffiness. Then, apply on the hair and leave it on for 20 minutes or more! Follow up with shampoo and rinse thoroughly. Aloe vera gel is the clear gel extracted from the stems of the aloe vera plant. The gel has a mild “green” scent. The gel is traditionally used to treat cuts, scrapes, and burns. It’s an excellent hair and skin hydrator too. You can scrape the gel and mix it with Shea butter to make a deep conditioner. You can also use it alongside olive oil to create a leave-on conditioner! You can get food grade aloe vera gel from your favorite grocery store or get it fresh from an aloe vera plant. Just make sure to refrigerate the finished conditioner to prolong its shelf life. Also, make deep conditioners in small batches. Coconut oil is having a moment in the beauty industry and we understand why! This all-around moisturizer will deeply penetrate the skin and hair without the greasy, slick after-feel. You can use coconut oil on its own as a leave-on conditioner or mix it with aloe vera gel or olive oil to achieve glossy, healthy hair! Coconut oil is perfect for extremely dry, damaged and color-treated hair. The oil will repair damaged hair fibers and prevent split-ends. It will also restore the natural shine of your hair! For a deeply hydrating hair mask, we recommend mashing halved avocado and adding olive oil. Just apply the mixture on your hair, wear a shower cap and leave on for at least 20 minutes. 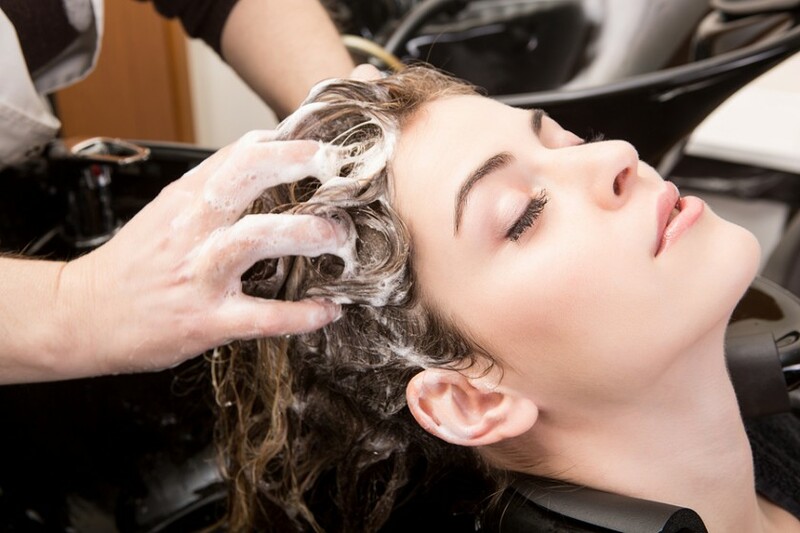 Rinse with tepid water and mild shampoo. Avocado contains healthy fats that will add shine and body to thin, flat hair. It will also nourish hair, preventing dryness and split ends! Vegetable glycerin is an odorless, colorless viscous and non-toxic substance made from sugar alcohol. This substance is a popular ingredient in artisanal soaps and conditioners because it’s a humectant and emollient. Vegetable glycerin will draw moisture into your hair, restoring moisture and shine. It will also soften the hair and prevent it from drying out. Just mix vegetable glycerin with coconut oil or olive oil for a nourishing hair conditioner.